24 No. Bright Red faux leather chairs sold as slight seconds but I cannot see much wrong with these - one or two only have scuff marks to the Wenge polished legs! Supplied structurally sound with the legs having been fitted and stressed in the factory! - supplied un-boxed. Stylish chairs that are comfortable to sit on. 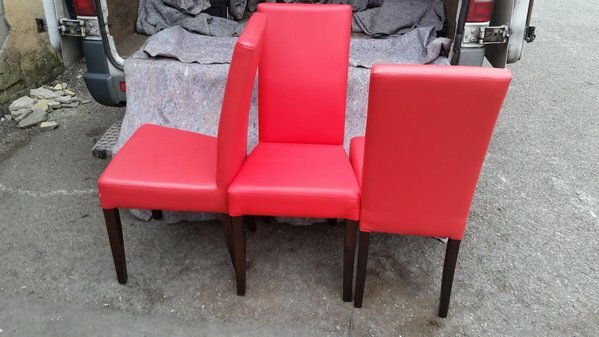 Collection preferred but happy to quote for delivery on our own van with the chairs being blanketed for the journey just send your post code. Collection from Nottingham preferred but can deliver p.o.a.